What's up with all the weird meteors lately? The meteors this month have been acting a little strange — they're particularly fiery, and they take a very long time to burn out. It turns out this is not an isolated incident; speculation over the strangeness of February meteors goes back at least half a century. Now that we have the technology to keep close tabs on their activity, the data actually suggests there may be some truth to the rumors: February's fireballs are a bit different from those of other months, and that, say scientists, is very puzzling. Back in the sixties and seventies, a group of amateur astronomers came up with something called the "Fireballs of February." The phrase was used to describe what they claimed was higher-than-average fireball activity during the shortest month of the year. A fireball is not like most meteors. Technically speaking, it's a meteor that burns so intensely while tearing through our atmosphere that it actually appears brighter than Venus — one of the most brilliant objects in the night sky. The thing is, the fireballs described by observers in the 60s and 70s were often reported to produce sound as well, and were capable of penetrating deep into Earth's atmosphere before burning out. Followup studies have shown that there's not really any increase in the rate of February fireballs, but evidence suggests that there could very well be something... odd about them. "These fireballs are particularly slow and penetrating," Brown explained to NASA's Tony Phillips. "They hit the top of the atmosphere moving slower than 15 km/s, decelerate rapidly, and make it to within 50 km of Earth's surface." 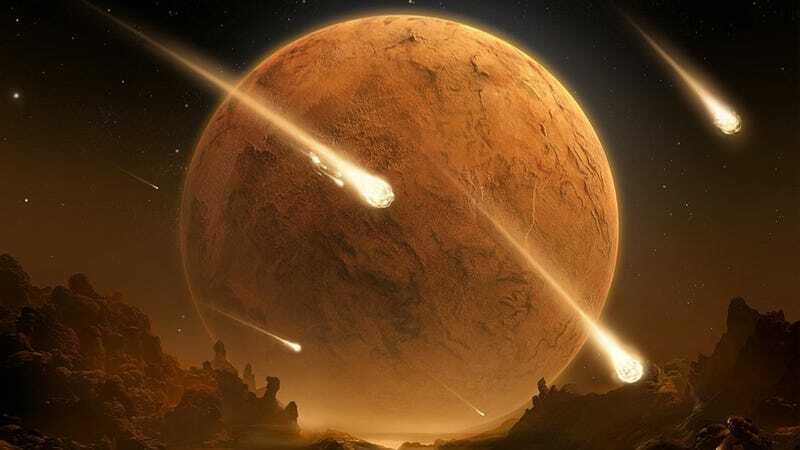 The Network has witnessed about half a dozen of these bizarro fireballs so far this month, and while analyses show they're all coming from our solar system's asteroid belt, there's nothing to indicate that they're coming from a single location within the belt. By adding to its All-Sky network, perhaps NASA researchers will one day be able to make sense of these unusual meteors, and unlock the secrets behind this enduring astronomical mystery.